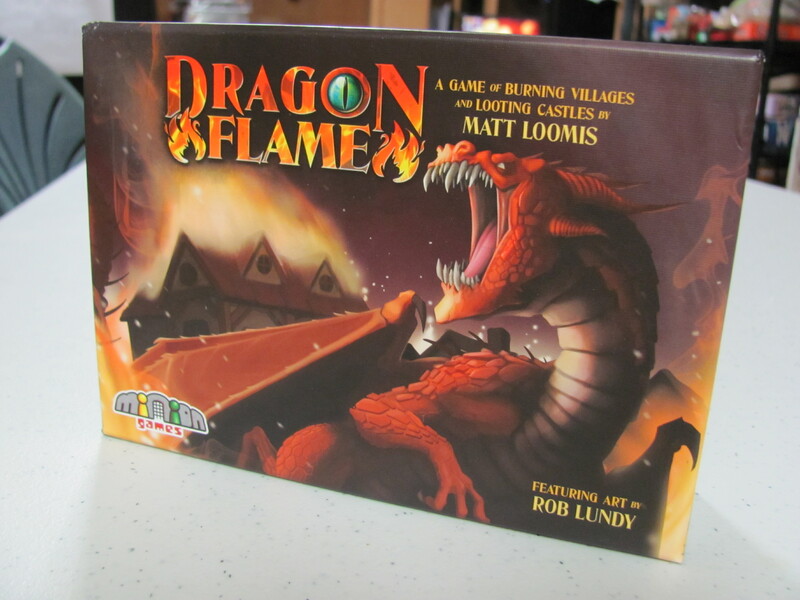 While Robert has us on the subject of dragons, let’s talk about Minion Games’ Dragon Flame. Similar in theme to Wrath of Dragons—you play the rampaging wyrms—Dragon Flame, though, presents a lighter but still strategically satisfying experience. The first part of Dragon Flame has players seeding castles with treasures, one-at-a-time placing treasure cards on the central castles in combinations that they hope will maximize the value of the castle stacks for themselves and minimize their value for the other players. Some of the castles are limited in the number of treasure cards they can take. And depending on what a player accomplished on the previous turn, some number of the treasure cards they play will have to be face-up or face-down. 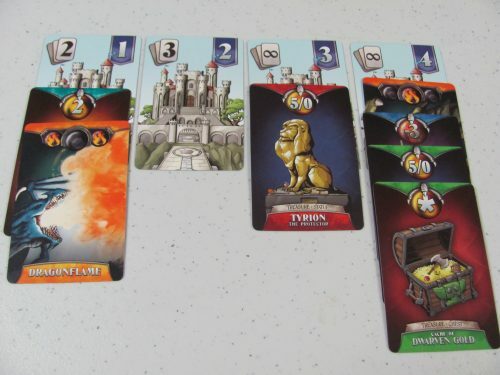 The second part of the game sees the players acting their parts as dragons, taking turns to attack a castle and grab the treasure cards there. Each type of treasure in a dragon’s hoard at the end of the game scores glory points in a different fashion. For example, jewelry cards are worth a straight number. Statues are worth five points each but only if there are no duplicates. Chests are each worth one point per chest of the same type (thus, their value increases quickly), but this only applies to the single greatest collection of chests. Each chest of another type in a dragon’s hoard results in a penalty of one point. Dragonflame cards are special. 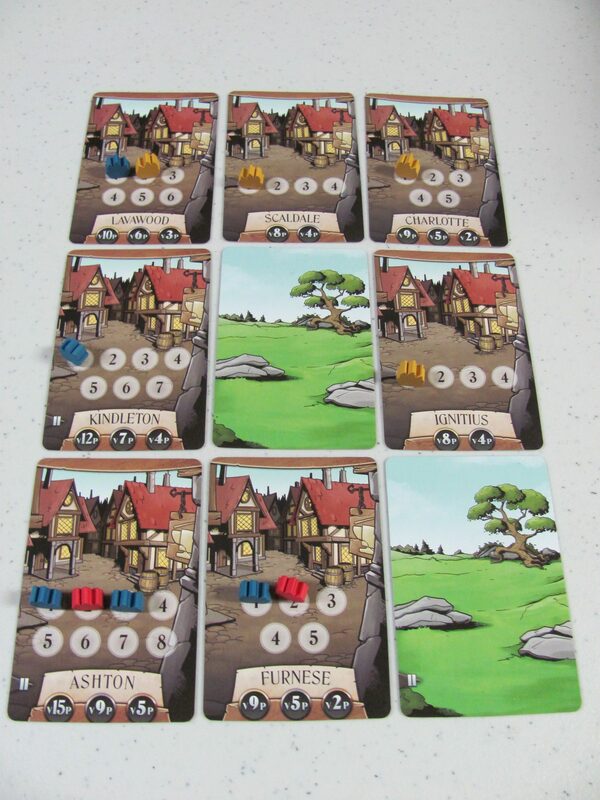 Any in a player’s selected stack gives them a run at burning villages. 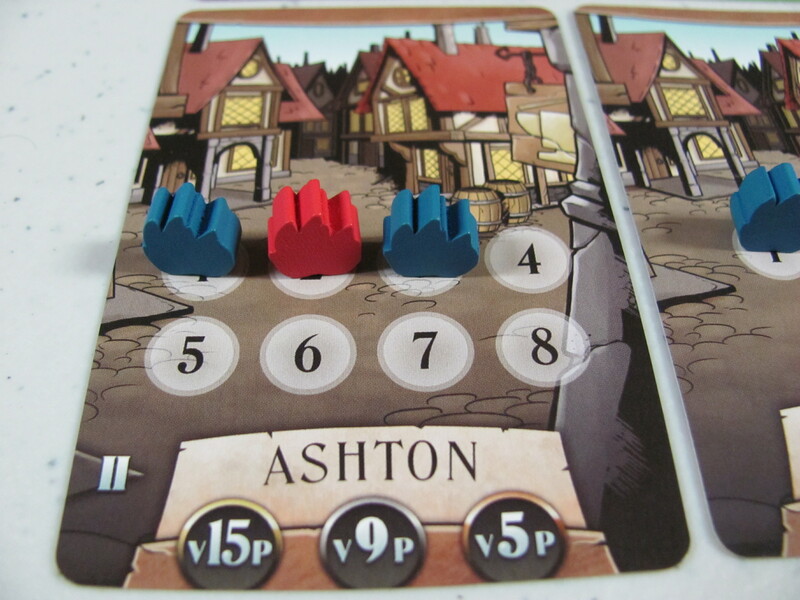 For every icon on the cards, they can place a flame token on one of a set of village cards. At the end of the game, the dragon who’s contributed the most to burning down a village scores its points. For me, Dragon Flame’s fun comes from quick but strategic play with a fair amount of back-and-forth positioning player against player. Also, though there may not be dragon meeples, it does come with wood fire tokens to light up pesky human villages. A complimentary copy of Dragon Flame was provided by Minion Games for review.